Let Between Rounds cater your next special event! 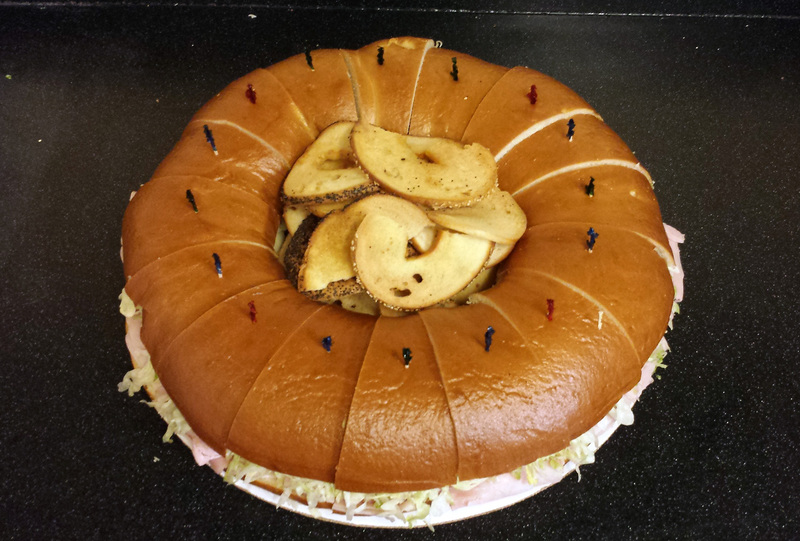 A 2 lb plus bagel filled with your choice of meats and cheeses, complete with a garlic bagel chip-filled center. Custom designed shapes and logos are available to make your event extra-special. Looking for a creative and delicious catering idea for your next company event, party or conference? 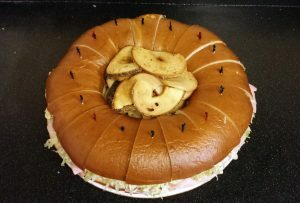 Let Between Rounds handle your catering needs with our exclusive Giant Party Bagel Sandwich that features a 2 lb plus bagel filled with your choice of meats and cheeses complete with a garlic bagel chip-filled center. Custom designed shapes and logos are available to make your event a custom occasion. A large party bagel includes 16 pieces and a small party bagel has 8 pieces.